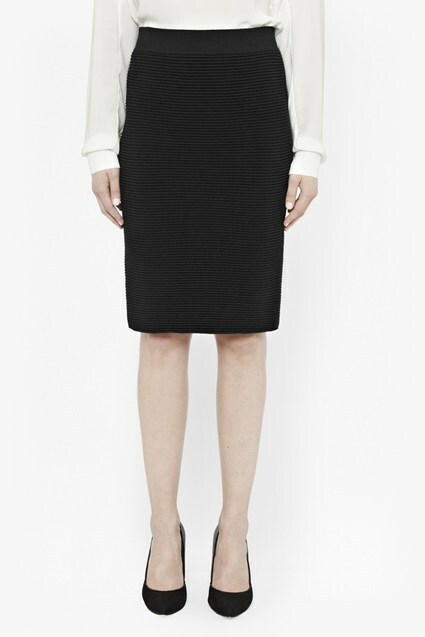 The Alexandra Striped Pencil Skirt is oh-so right in stripes and ribbed to perfection. It also follows the contour of the silhouette for a streamlined silhouette whilst remaining comfortable thanks to the elasticity of the waistband. Dress down for sunny weekends with a breezy top, off-duty flats and trilby.